A Major style statement: introducing the Major ladies' watch by Rebecca Minkoff. 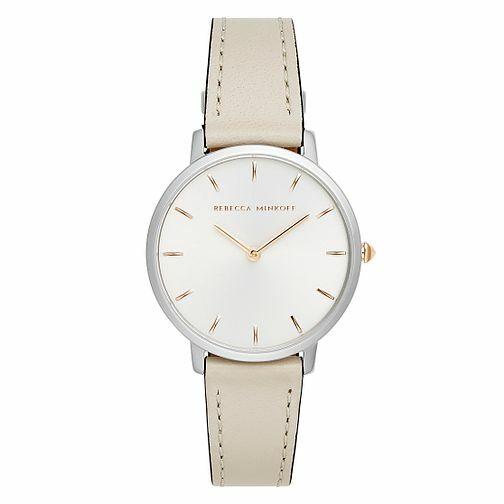 A silver tone stainless steel case presents a chic white dial, detailed with rose gold shade slim line indices and two hands. An attractive cream leather strap will never go out of style, making this timepiece the ideal finishing touch to any fashionable outfit.